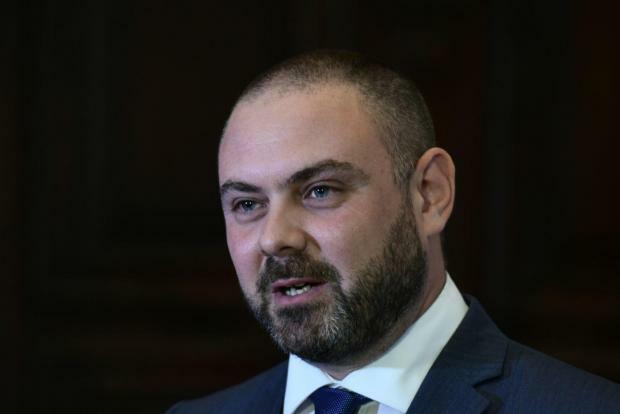 Minister Owen Bonnici has been ordered to pay €66,667 in damages to a man he hit with his car back in 2014. In a civil court judgement handed down on Friday, Mr Justice Lawurence Mintoff ruled that the incident victim, Alies Abdulhadi, should receive €65,894 in compensation and a further €772 for expenses incurred as a result of the incident. The minister will, however, not end up out of pocket directly, with his insurer having previously told the victim that it would pay any amounts due to him. In a statement, Dr Bonnici said that he was fully insured and that he had not opposed the civil case. Mr Abdulhadi, a 26-year-old engineering student at the time of the incident, was hit by Dr Bonnici while he was standing in front of his car, which had stopped after developing a fault, just past the Sta Venera tunnels. The incident happened in April 2014. Doctors found that his tibia was broken, his knee badly twisted and ligaments torn, and a medical expert testified that he was more likely to develop arthritis due to the damage. A medical expert testified that he had suffered a 12 per cent permanent disability. A criminal court had exonerated the minister of any criminal responsibility in the incident, but Mr Abdulhadi had subsequently filed a civil suit for damages after failing to reach a settlement with Dr Bonnici’s insurers. As a result of the crash, Mr Abdulhadi told the court, he could no longer jog, play football, walk for any significant distance, lift heavy items or stand among crowds of people. In his judgment, Mr Justice Mintoff found that Mr Abdulhadi would have been likely to earn a minimum of €20,000 a year if he were to work as a warranted engineer within the public sector, and set a 30-year multiplier when calculating damages due to him.